for Amplifiers, Control Products, Transmitters and Multi-Function Assemblies. We design, build, and test products specifically to your requirements. represented in our website and catalog, if you don’t find what you need, provide us with a complete listing of your requirements. We will either modify one of our existing products or design a completely new one to meet your requirements. It’s that simple. 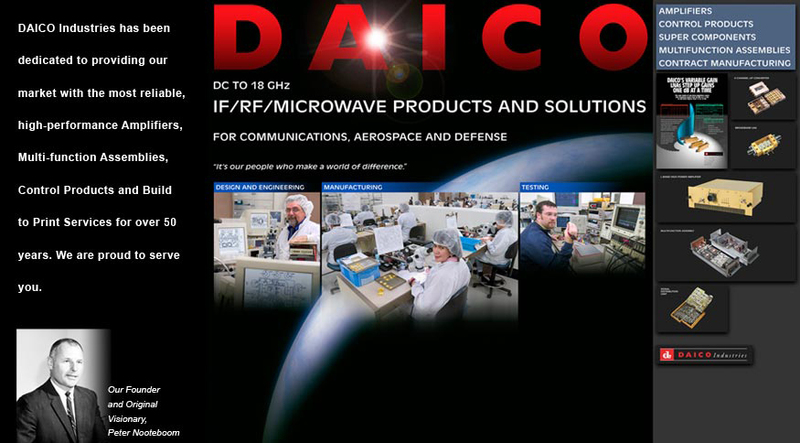 high-reliability Control products, Amplifiers, Sub Assemblies and Contract Manufacturing to the Defense and Aerospace marketplace.